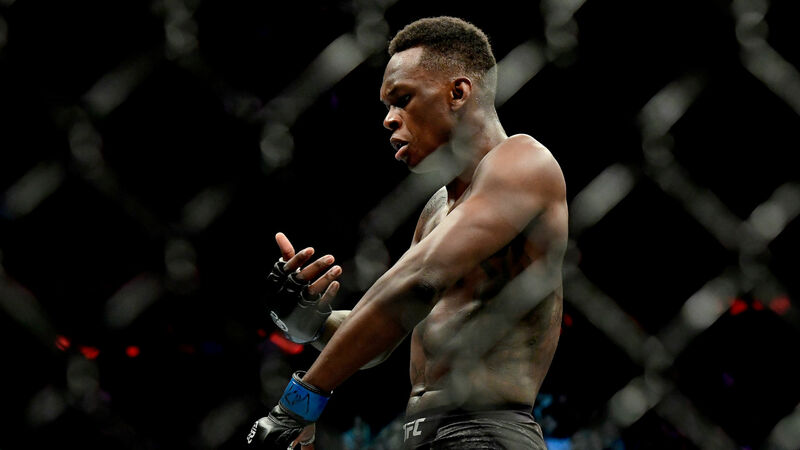 After making mincemeat of Derek Brunson at UFC 230 in looking like he could become MMA’s next breakout star, Israel Adesanya already has his crosshairs set on who he wants his next opponent to be. It’s hard to figure out whether Adesanya is sharper with his hands, knees and feet in the Octagon or with his words out of it. Ouch. Throwing steroid allegations at Costa has to irk the Brazilian. Whether enough Adesanya’s words will get him that opportunity against Costa remains to be seen, but the electric, undefeated 29-year-old sure isn’t wasting time thinking about his next opponent. After his destruction of Brunson last Saturday night in New York City, Adesanya rolled out with what he called his “case notes” on fellow fighters in the middleweight division. There, during his post-fight press conference, Adesanya revealed that had Chris Weidman defeated Ronaldo Souza, then he would have wanted to fight “The All American.” But since Weidman was knocked out by Souza, those plans were immediately dashed. He called Yoel Romero and Luke Rockhold “unreliable,” saying the former doesn’t make weight all the time and the latter’s “pull-out game” is strong. Adesanya did express an interest of perhaps fighting Whittaker, but only if he can defeat Gastelum first. Clearly, “The Style Bender” has the middleweight decision well-scouted and is as calculated with his approach to matchmaking as can be. Let’s see if Adesanya-Costa or Adesanya-Whittaker takes shape next.